AlligatorZone® Academy’s premium summer workshops support the nationwide free public events by AlligatorZone®. 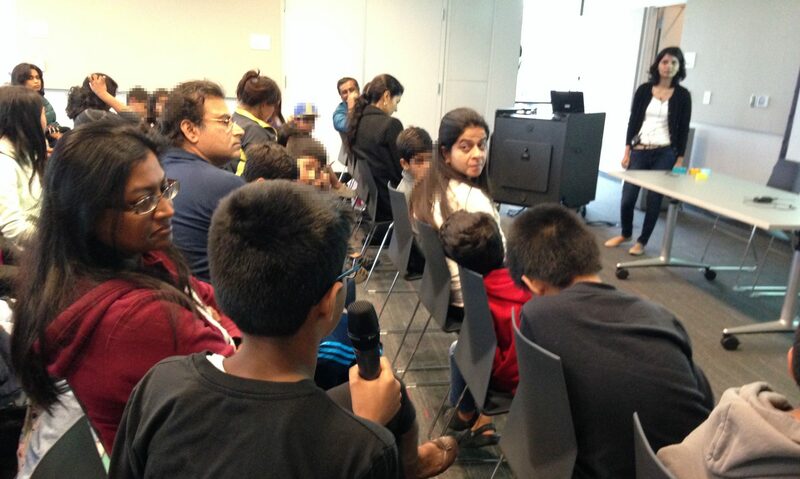 Scroll down for Silicon Valley and Tampa workshops for students of ages 10-15. Our premium summer enrichment workshop will be held at the inspirational Entrepreneur Collaborative Center in Ybor City, Tampa, the week of June 17, 2019. Click here for details and enrollment in Tampa Bay. Our premium summer enrichment workshop will be held at the historic Menlo College in Atherton, CA, the week of June 1O, 2019. Click here for details and enrollment in Silicon Valley. Scroll down for our history and testimonials. AlligatorZone® Academy’s Summer Enrichment Workshop 2019 returns this summer after two successful summer camps, as well as successfully running a series of game-based and project-based pilots in after-school enrichment programs. Scroll down for details and testimonials. Coaching: Coaches will be entrepreneurs who have created and led bootstrapped and funded ventures, or are currently leading entrepreneurial ventures, thus making for a coursework leaning more towards common-sense practical approaches than on academic learning. Ages: Recommended for kids of ages 10 – 15. Format: Face-to-face, game-based and/or project-driven. Duration: 9 a.m. to 4 p.m., incl. lunch-hour and healthy-breaks. Parental Role: Subject to availability of extra space in the meeting room / class room, the presence of a parent or a guardian, as an observer, in this workshop is welcomed. Such chaperone’s registration is free of cost. Chaperones may observe, but not participate during the sessions unless requested. In AlligatorZone’s programs, we encourage parental engagement because, in our observation, the shared experience makes it special for most kids and helps reinforce their learning once they leave a workshop or an event. Content: This workshop presents startup skills made simple for kids, to give them an opportunity to gain a head start. Whether it is for admissions in institutions for higher learning, internships, for a future calling, or for life in general, it is never too early to start training in entrepreneurial decision making skills to help our kids excel in life. The 2019 Workshop’s Goals: To teach how to launch a change-making project or product. In this workshop, kids will develop fundamental skills to execute on projects based on their own areas of interest, and something that contributes to making their world better. These will be entrepreneurial initiatives which they can start and continue working on long after the workshop ends, thus getting on the pathway to building a body of social-impact work that could help them throughout their school years, should they wish to pursue it seriously. Further, the entrepreneurial-skills they will learn along the way, such as cash-flow management and marketing, are skills that will come handy, no matter what their career path or calling may be in future. 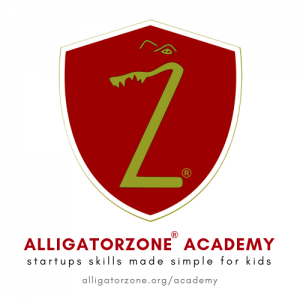 Mission of AlligatorZone Academy’s workshop series: AlligatorZone Academy’s 2019 Summer Camp is a workshop series to help families nurture entrepreneurial leadership skills in their children. Kids need entrepreneurial leadership skills to survive and succeed in our fast-changing world, no matter what career they choose to pursue. AlligatorZone® Academy aims to teach, among other things, soft skills such as communication, problem-solving, independent thinking, and understanding an entrepreneurial mindset that helps kids retain their innate curiosity. More questions? Please send an email to events@siliconglades.com. AlligatorZone® Academy supports and subsidizes the costs of the nationwide free public event-program by AlligatorZone®. The framework for AlligatorZone® Academy has been meticulously designed to be dynamic even as it provides an enduring alternative learning environment for kids and youth. AlligatorZone® Academy aims to help the youngsters develop an entrepreneurial mindset, help them connect the dots between what they learn in STEM, STEAM or other disciplines and the real-world solutions being developed to address real world problems, with the goal of helping them prepare for careers that very likely don’t yet exist.